A professional eye exam is the basis for achieving optimum vision with eyeglasses or contact lenses. This is why a thorough and competent examination of your vision is vitally important. The high qualification level of our team, our modern technical facilities and the time we take for you, is at the core of the modern eye exams we provide at Offensichtlich. 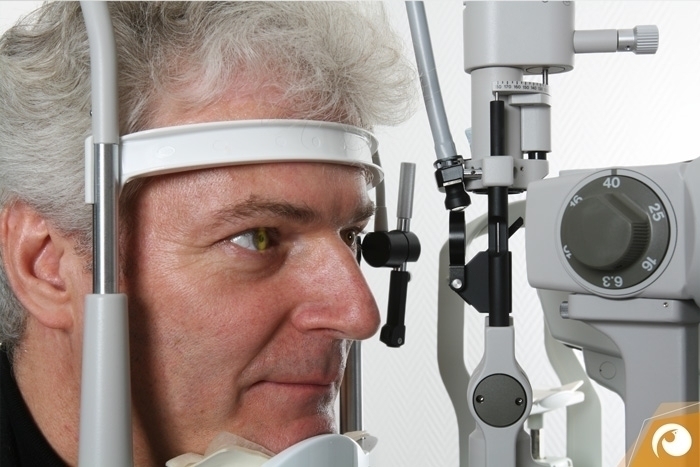 Each member of our team is a trained optician and has earned a professional qualification in optometry. 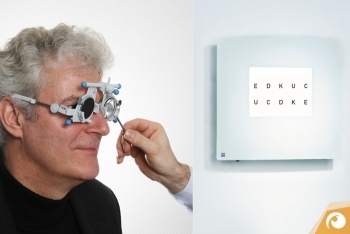 We begin each eye examination with an objective computerized measurement of your eyes using our i.Profiler plus. Based upon the results of this exam, we then subjectively determine your lens strength jointly with you. In this context, we also check the health of your eyes and look at your typical vision habits. To this end, we take into account your profession, your place of work and your leisure activities. We pay particular attention to the optimal correction of far- and nearsightedness with regard to your spatial vision. What is crucial to three-dimensional perception is the proper interaction between your eyes. Among other things, disturbances to your binocular vision can result in eye strain, fatigue and headaches. Moreover, only proper spatial vision makes it possible to fully enjoy the latest 3D film technology. While you can perceive the image on the big screen clearly enough, a three-dimensional effect results only if your eyes work together properly and thus give the image the desired depth. Equally important nowadays is not only a proper prescription for computer viewing at work but also one for your leisure activities. 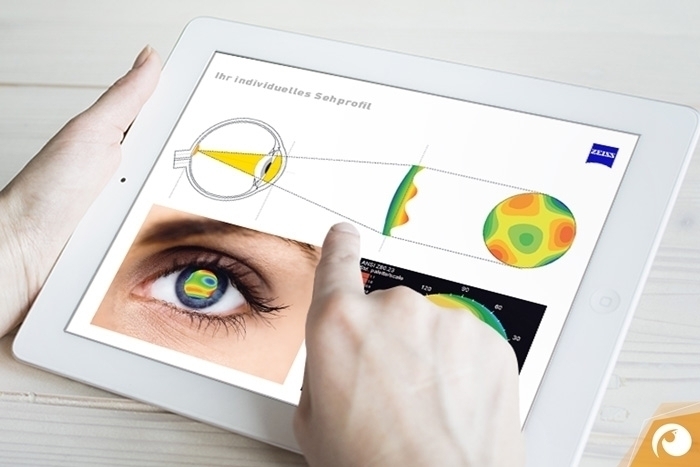 Taking consideration of your specific needs and the analysis of your vision habits – in conjunction with all the objective and subjective measurements –we create a customized vision profile for you. On the basis of this vision profile, we can recommend an optical lens solution that will offer the best possible comfort for you. In establishing your lens values, we have already made out an important indicator of your eye health, namely visual function. Additional factors are, for instance, the condition of the cornea, tear fluid, the condition of the lens, intraocular tension and the health of the retina.